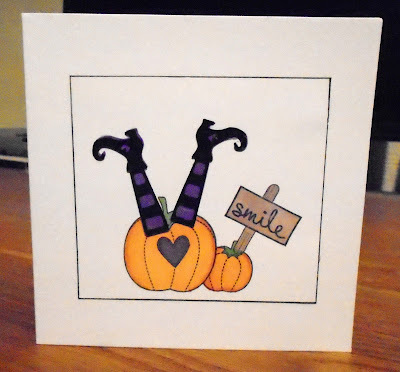 I thought I'd finished with Halloween cards, but I was die-cutting these witches' legs as cake toppers and couldn't resist using some on a card. The pumpkins are from Inky Doodles, the sign is Craft Asylum, and the legs are cutting files from the Silhouette store. When I saw the challenge at Fusion I immediately thought of this Stampin Bella stamp, which I've used a few times before in different colour schemes. This time I wanted to keep all the focus on the purple poppies, so I kept the design simple and the colours subdued. The sentiment is by Clearly Besotted. 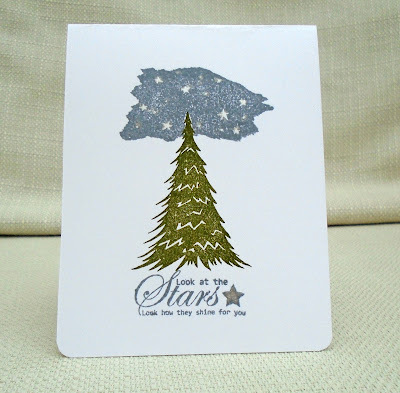 I wanted to try out this patch of stars stamp from Personal Impressions - I wasn't sure how it would work (as opposed to covering the whole background with stars). The tree is also from the same PI set and the sentiment is a favourite of mine, by Sarah Hurley. I added Wink of Stella to the stars in the sky and on the sentiment. I haven't really decided what I think about the patch of stars! 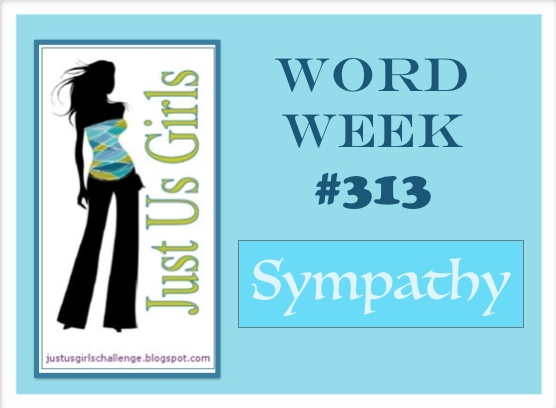 This week's challenge at Make My Monday is a recipe - use sequins and teal/turquoise and twine. I converted an electronic cutting file of a bauble into a shaker and filled it with 'shaved ice ' and sequins. 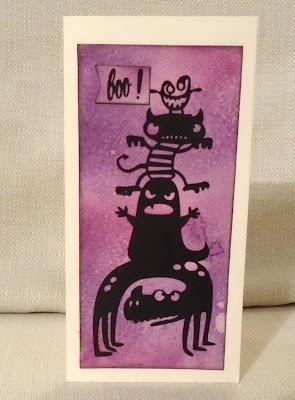 The background stamp is by Darkroom Door. 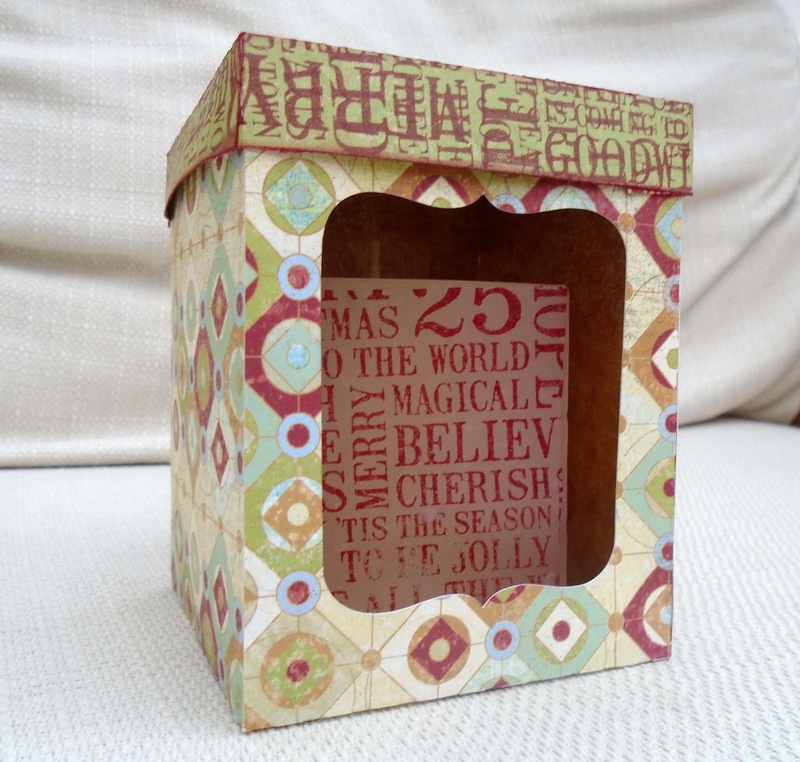 Please come and see what our DT made and join in our challenge at Make My Monday . 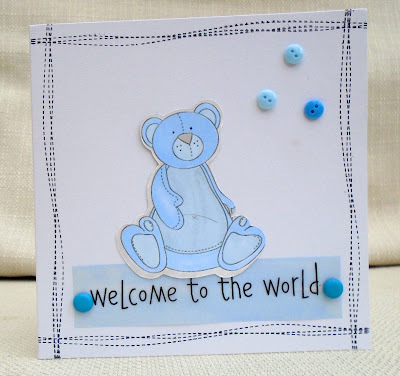 Here's the second baby card I made yesterday. 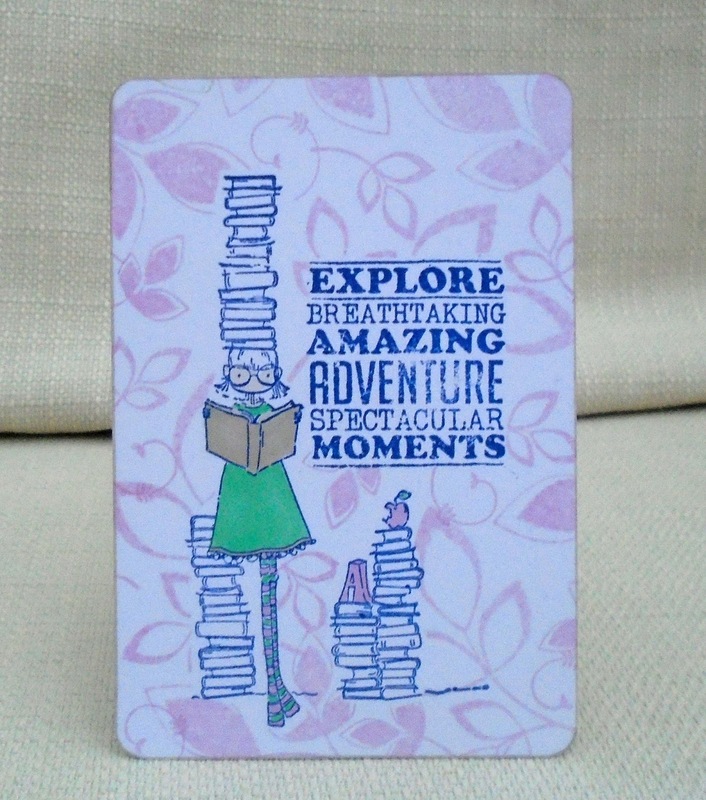 I had a new set of Avery Elle stamps on my desk , awaiting their first inking, when I discovered there was an Avery Elle challenge 'pink'. 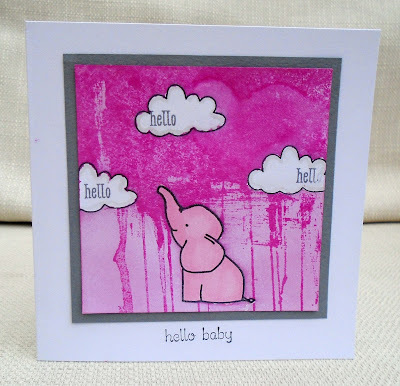 The elephant and 'hello' are Avery Elle stamps ( elephant is coloured with markers) , the clouds are Inky Doodles and the sentiment is Stampin Up. 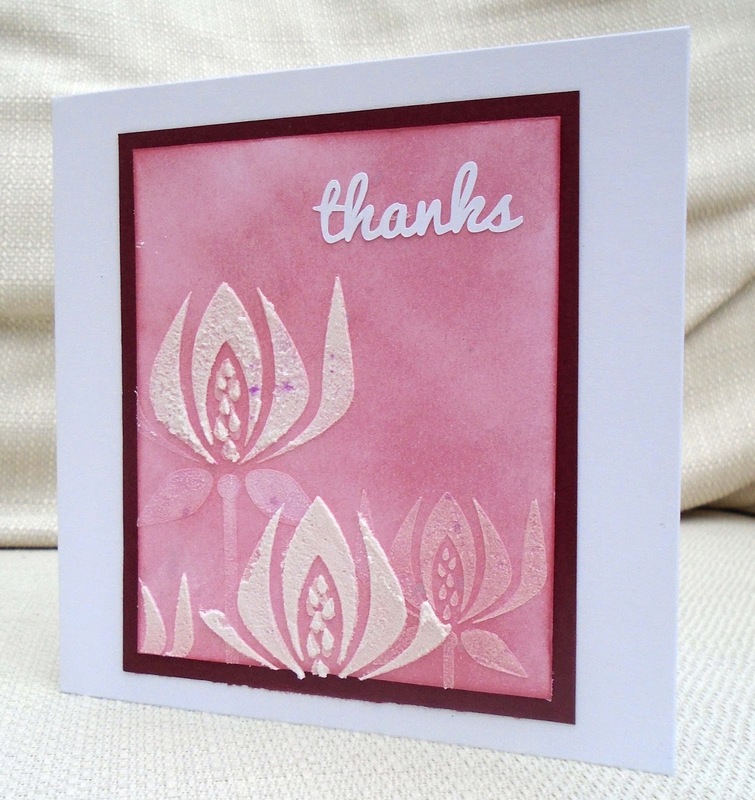 I inked the back panel using orchid Brilliance ink and then stamped that drippy background (Hero ) using raspberry. 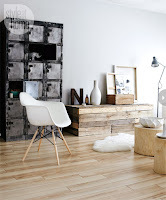 I then spray it with pearlised water for a more distressed look. 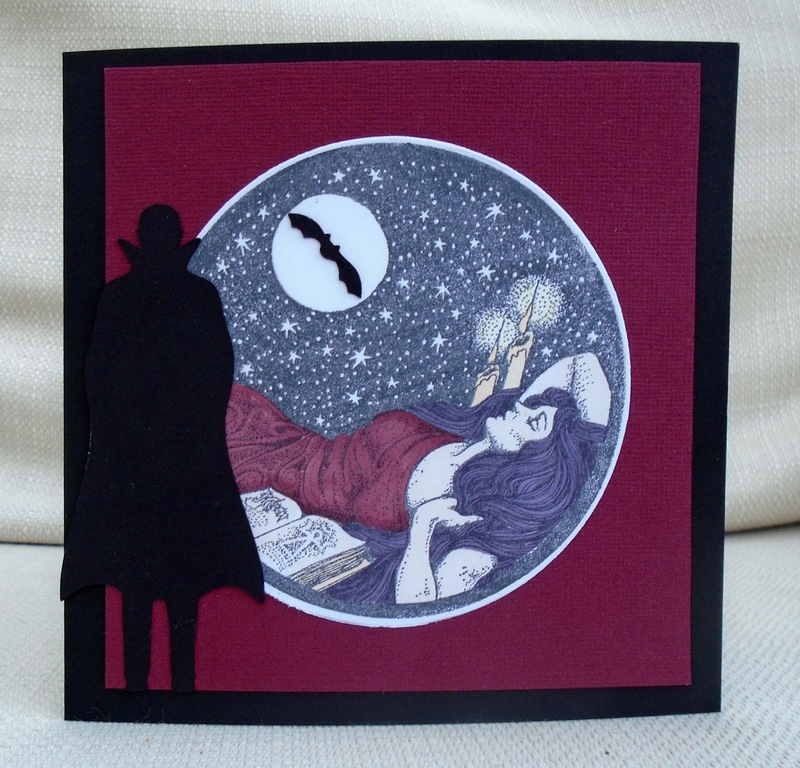 Actually I should rename this blog 'My tragic craft life' as this is the second version of the card I made. 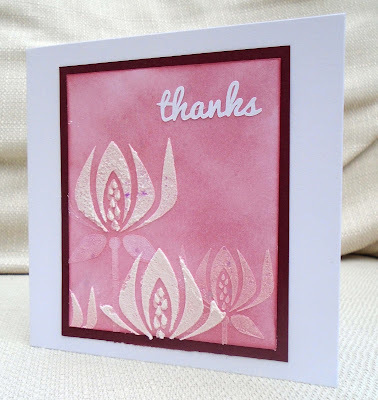 The first time, just as I was adding the sentiment as the finishing touch, I dropped the black ink pad and got it all over it! 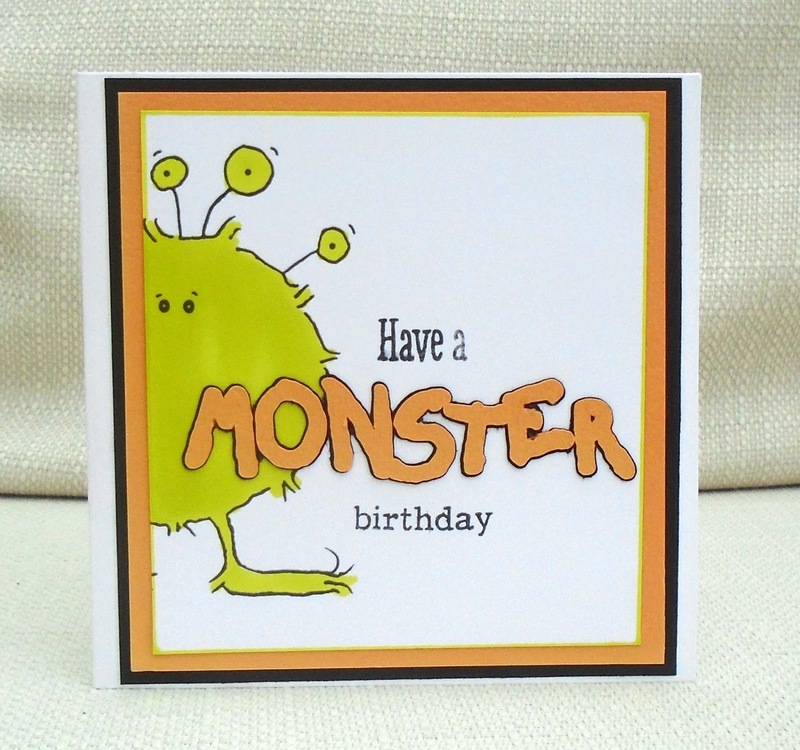 Well, I was making this card for one of my DT's upcoming challenges (can't say which one!) 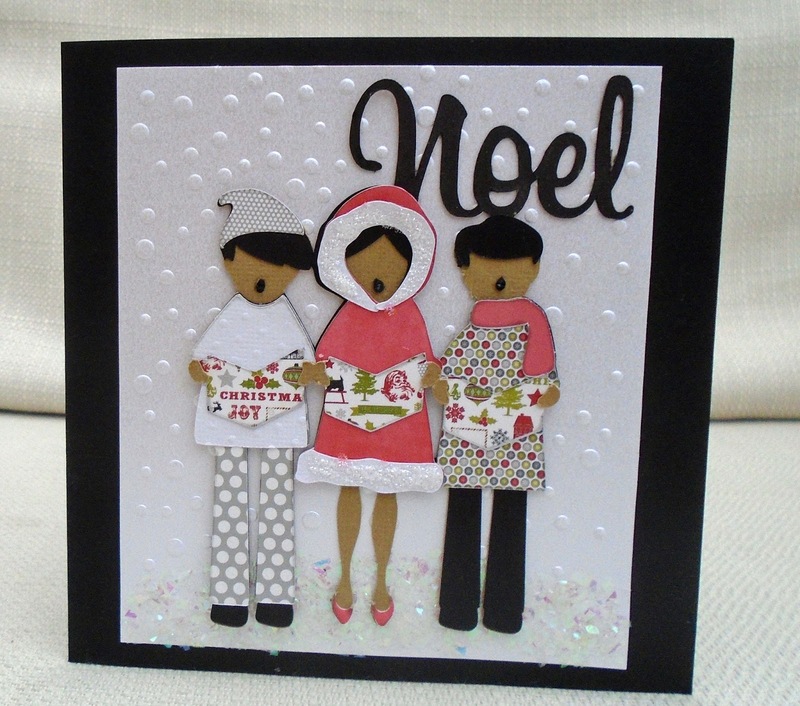 the theme is 'no stamping' so I thought I'd go to town with a multi-layered Lettering Delights SVG cutting file. This is NOT a quick and easy card - there are lots of layers to cut and stick ,and some of the pieces are really tiny (look at the girl's shoes) , so I had to keep searching for missing pieces and fishing them out of the bin (it's okay, no food waste in there, just sweet wrappers!) . 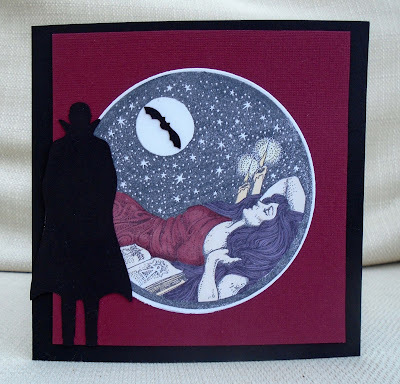 So I was just adding the finishing touches to this card when I went back to the brief to check something and , belatedly, spotted the words: 'No DP' !!!!!!!!!! Yikes! How did I miss that? 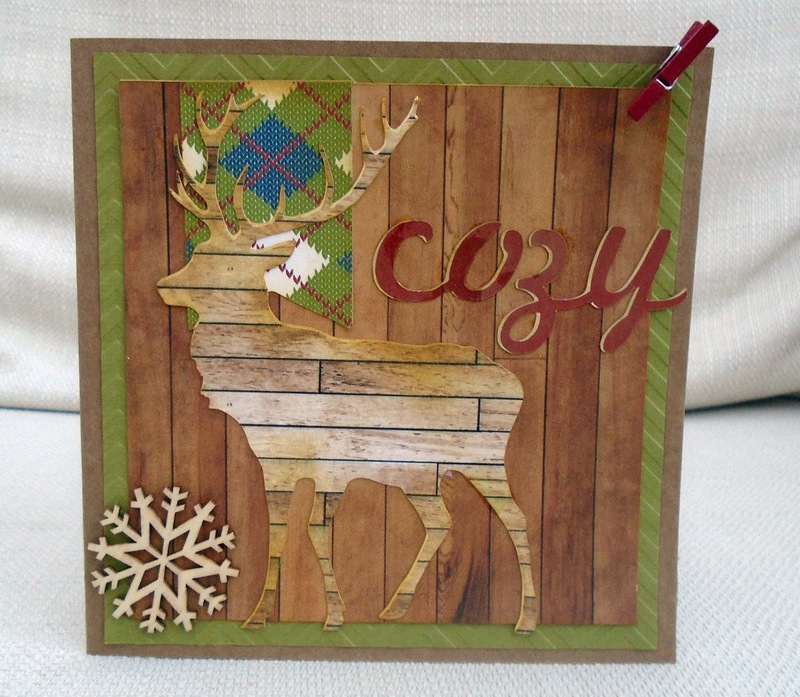 I used a digital version of Echo Park 'Tis the Season' to add pattern to some of the layers! So I can't use it for the challenge I made it for, so instead, I'm sharing it with you today. 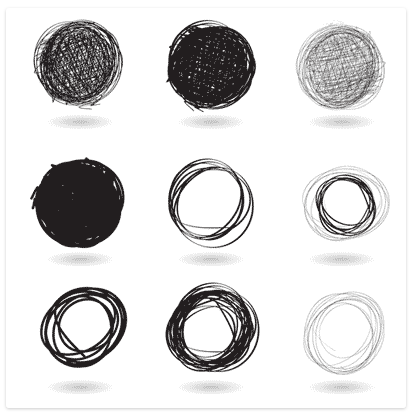 Back to the drawing board. 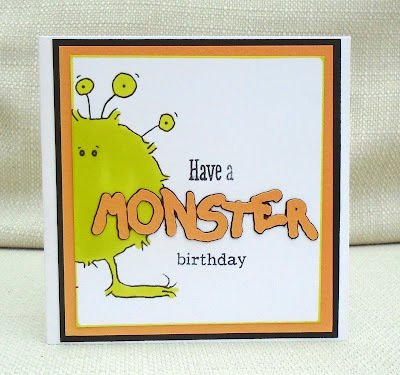 These monsters are Lettering Delights cutting files. 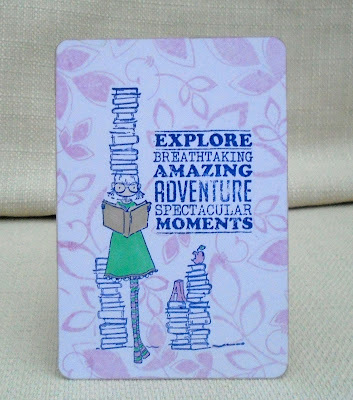 I resized them , piled them on top of each other and cut them out of black card on my Silhouette cutting machine. 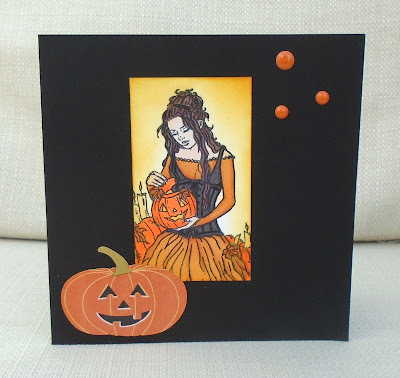 I made the background using Distress Inks and pearlised water spray. 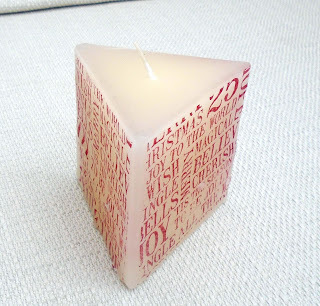 Our new challenge at Make My Monday is 'Inchies or Twinchies' - that is, one inch or two inch squares. For my DT project I covered a piece of card with inks, white spray mist, embossing and stamps from a Uniko stamp set. Then I cut it into two-inch squares and stuck them onto a card blank, adding two score lines and a sentiment. 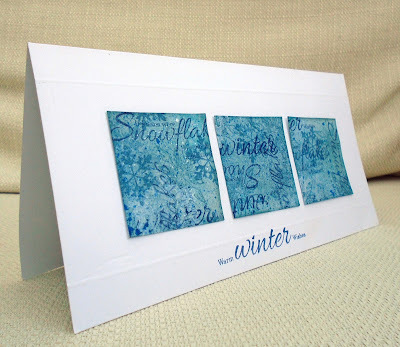 We’d love you to make a project using inchies or twinchies – actually even just one inchie would be great – and to join in our challenge this week. At last! 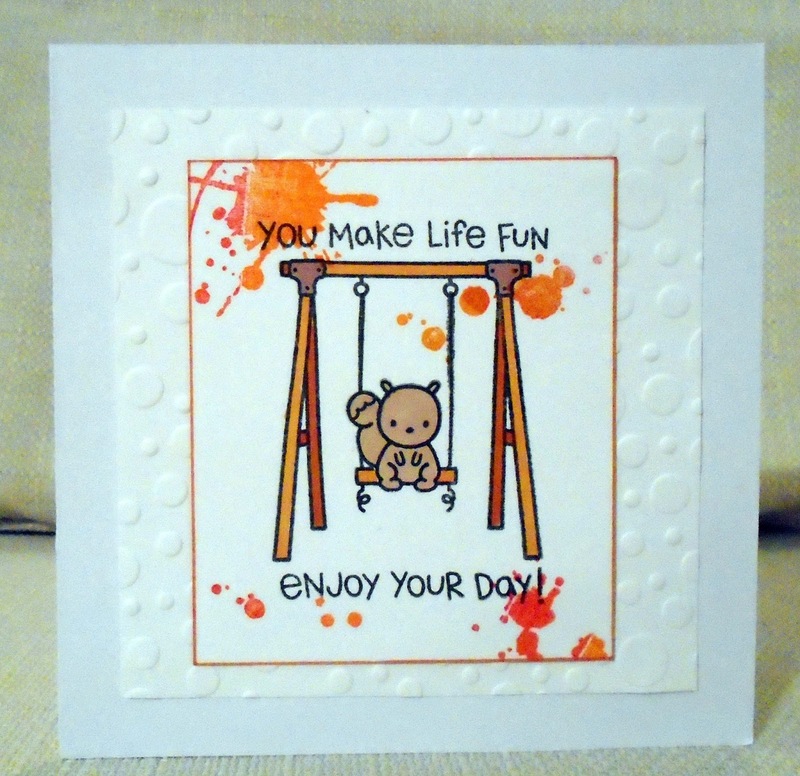 I've made a card I actually like, using the Lawn Fawn Playground set. 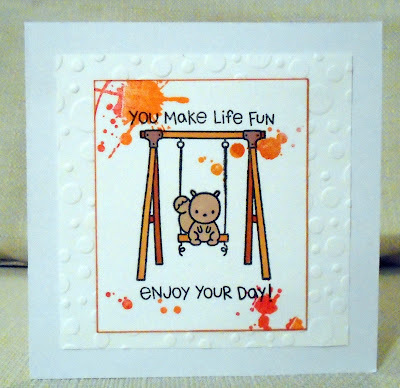 I also used splatter stamps from Visable Image. Our new challenge at City Crafter is to use texture paste, embossing paste , crackle paste or crackle paint. 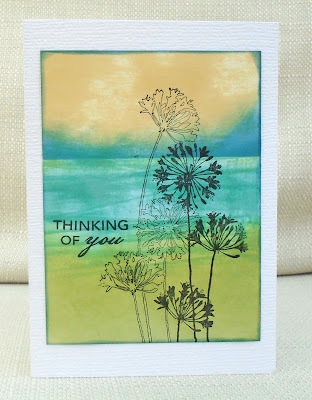 For my DT card I made a background using distress inks and then used a stencil and embossing paste, The embossing paste picked up the background colours so I then waited for it all to dry off and went over it again with more embossing paste. I like the two tone effect that resulted. The little spots on the flowers are a pearlised spray - there are little pearly droplets on the background but they don't show up in the photo. The sentiment is a die-cut. 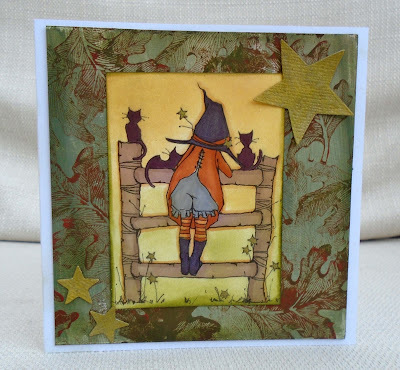 I hope you'll join us at City Crafter this week - we have a wonderful Guest Designer, Karren J , so I hope you will come and see what she, and the DT , have made and join in the challenge. 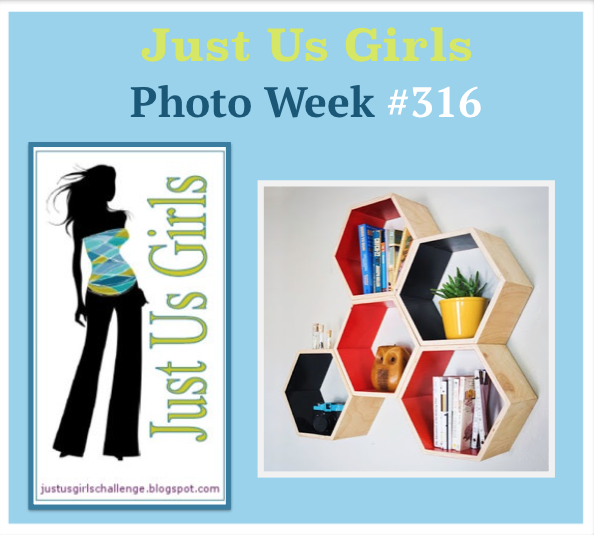 Our challenge at Make My Monday this week is : Orange and Black. 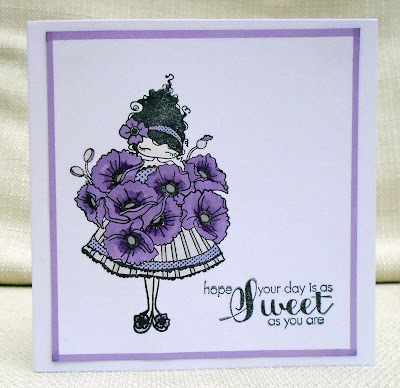 For my DT card I used a rubber stamp from Sweet Pea Designs and coloured it using Promarkers. I added a Basic Grey sticker Jack-o-Lantern and some enamel dots. Actually, I think I might have gone a bit OTT on the frantage ( the embossed snow) - probably because I expected more of it to blow off ! Obviously my frantage technique is getting better. 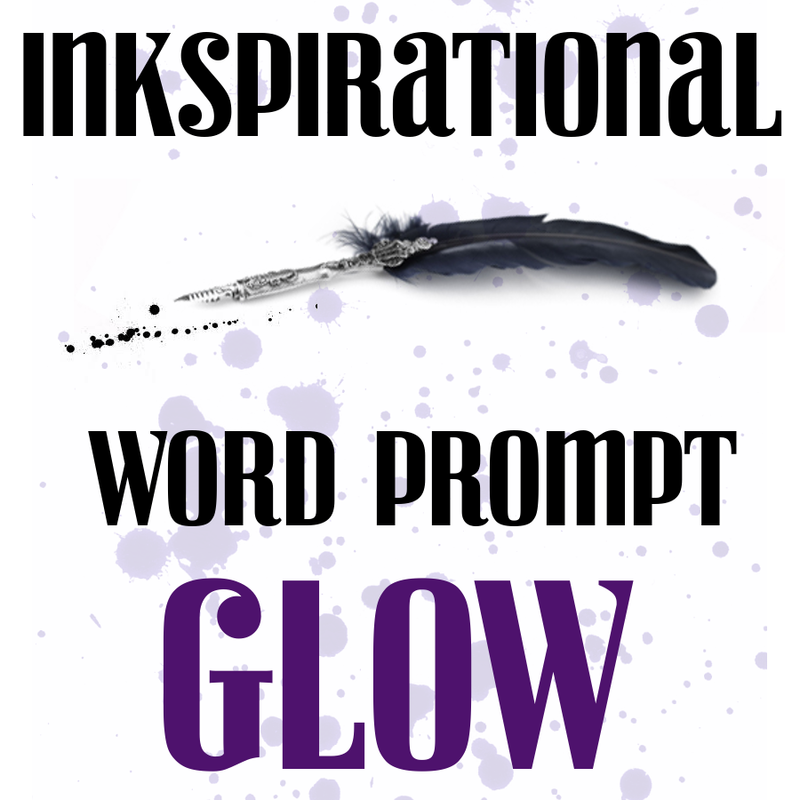 Our new word prompt challenge at Inkspirational is Glow. For my DT project I stamped a candle using a Dark Room Door background stamp. 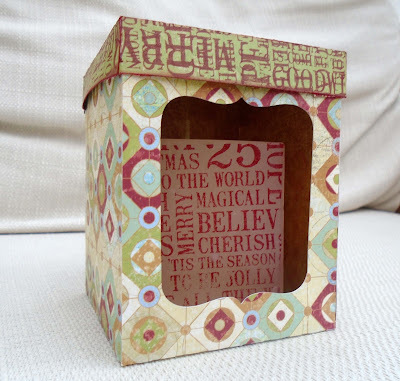 Then, using my Silhouette cutting machine, I designed and made a gift box for it, using Basic Grey patterned paper and the stamp once again. 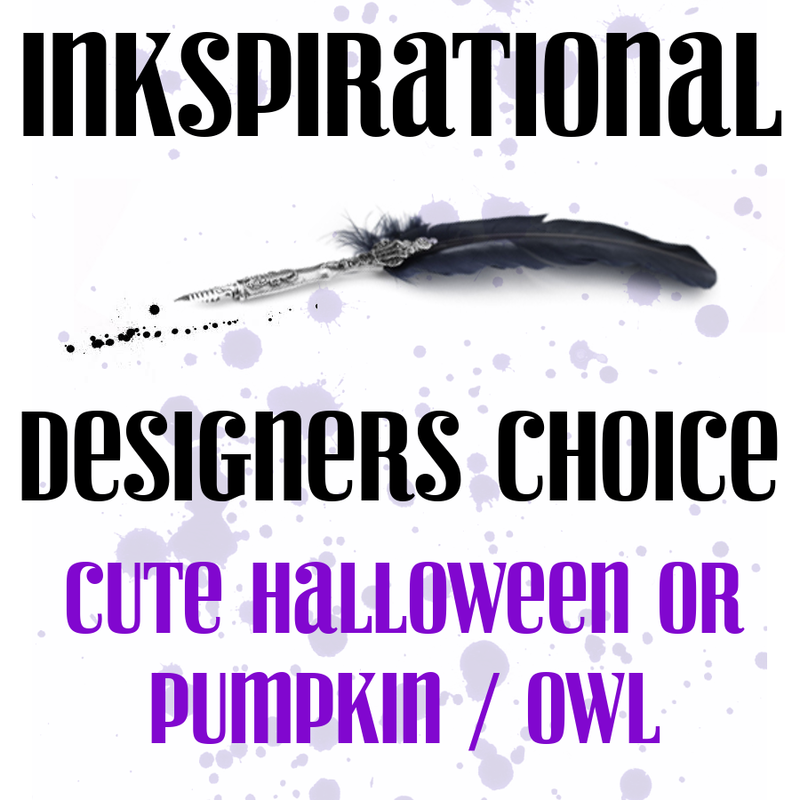 I hope you'll join our challenge at Inkspirational . 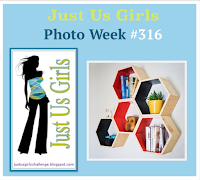 We have a fabulous Guest Designer, Hannelie , and I hope you will look at what she and the DT have made, then enter your own project. I went into my Polka Doodles Dollie Daydream Goes East CD with the intention of making an oriental floral card for CD Sunday's Bloomin' Marvelous challenge. I got sidetracked by this bowl of rice. 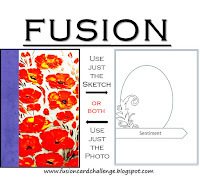 I hope the card is still blooming enough to qualify for the theme. I used the digi-stamps from the CD with the printed digital papers. 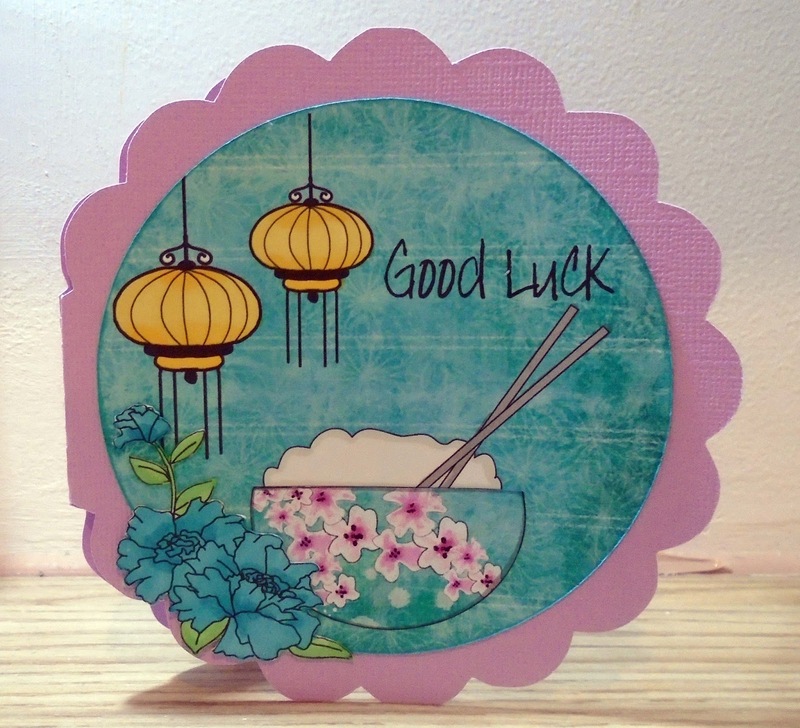 I coloured the lanterns, flower corner, chopsticks and rice with Promarkers and paper-pieced the bowl. The sentiment was just a computer font. 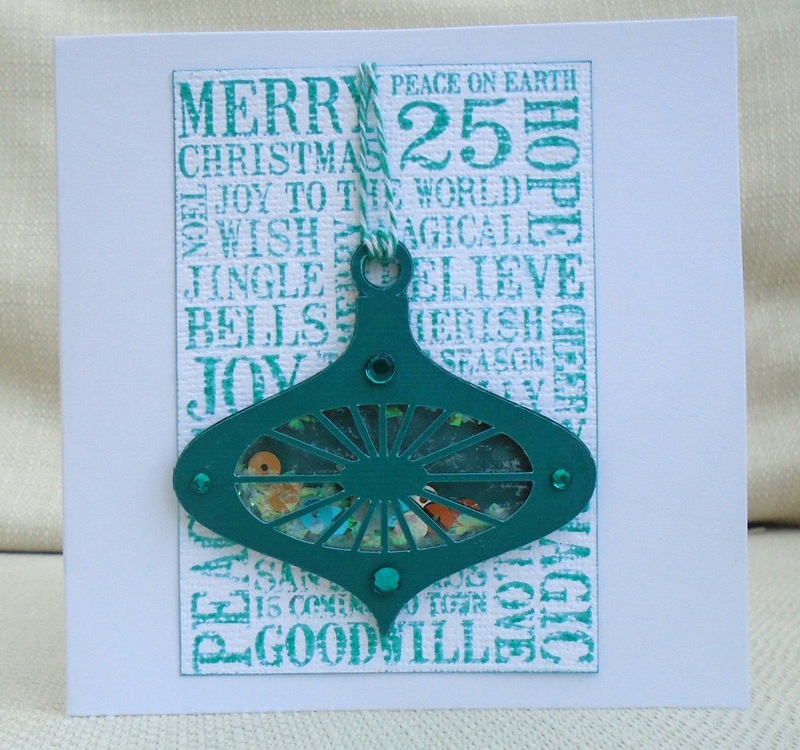 I cut the scalloped circle card blank on my Silhouette cutting machine. 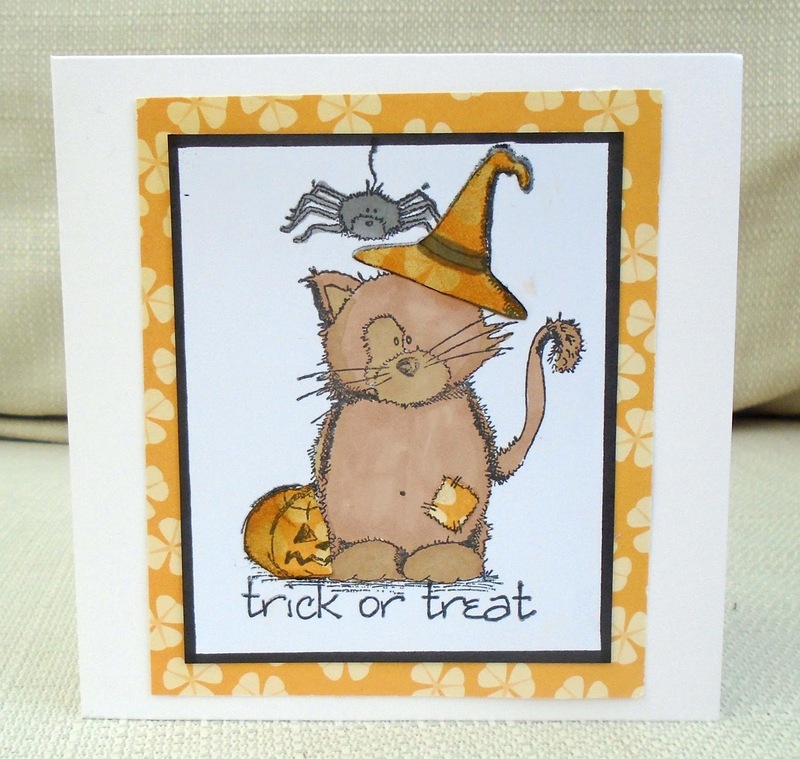 This week's challenge at City Crafter is 'Scribble Doodle Fun'. 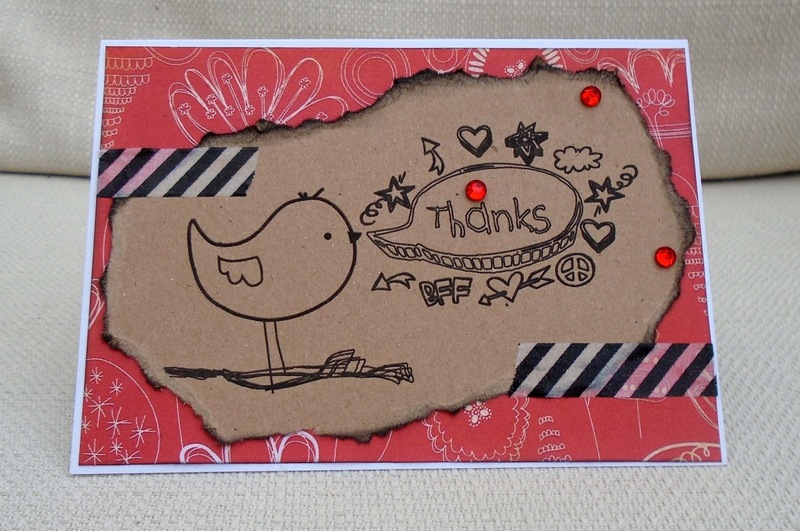 I wanted to give the effect of something that'd been doodled onto the back of a school exercise book, torn out and stuck to a card! 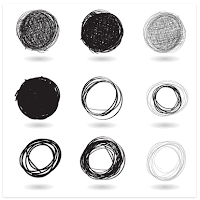 Nothing, though, was hand-drawn. The bird was from a Polkadoodles CD, the little doodles around the speech bubble are a font, even the ground beneath the bird's feet was scribbled using my computer mouse. 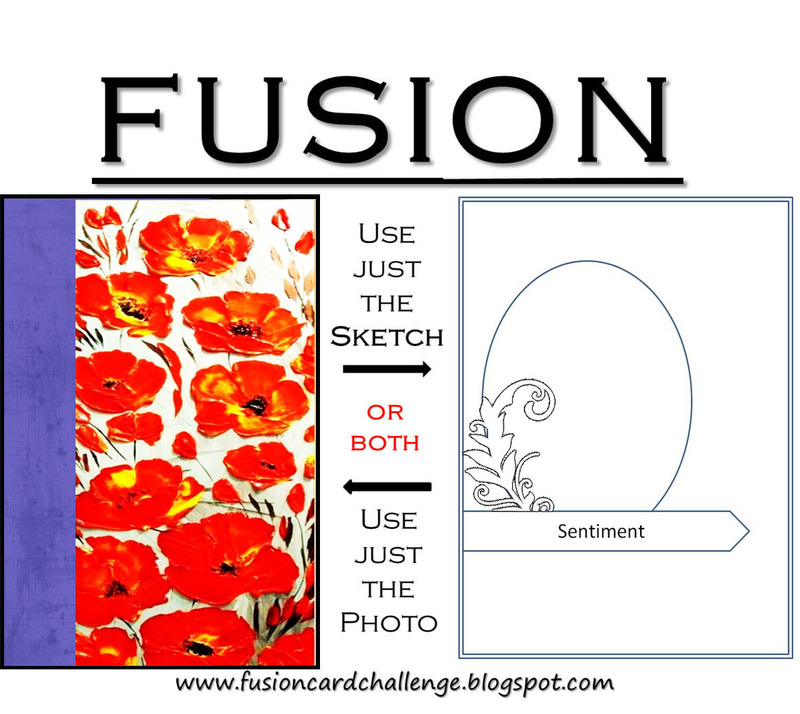 I hope you'll have a go at joining in with this fun challenge. We have a great Guest Designer, Theresa , so please check out her creation, and what the DT has done and then enter your doodle fun project at City Crafter. 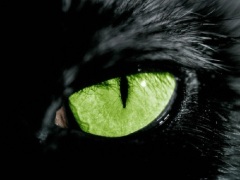 Our new challenge at Make My Monday is cats - big or small. 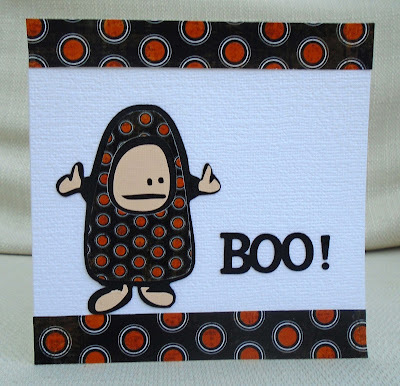 As you can see, I've gone down the Halloween route. The stamp set is an old one called Daisy and Dandelion (I think it may have been a Docraft brand but it doesn't seem to exist anymore). 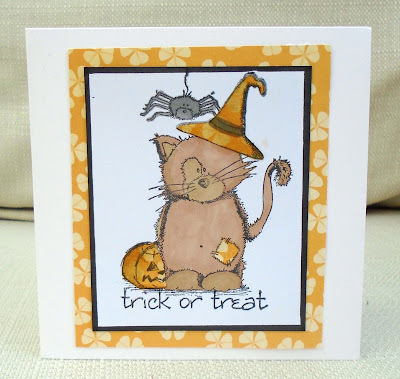 Here I used five separate stamps, and masking and paperpiecing were involved on the hat and pumpkin. I'm always very pleased with myself when I do successful masking and feel the need to point it out! Wouldn't want you to think I'm a stamping slacker! 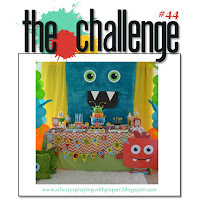 Come and join in the challenge at Make My Monday! One day in the summer, my son and I had a lovely afternoon painting in the garden and I made the background you see here, using acrylic paint and stamps on recycled cardboard. The image is a new one from A Day for Daisies, I coloured it with markers and inks, using autumnal colours. I didn't put a sentiment on because I think this could be used for a 'thank you' or birthday card around Halloween. 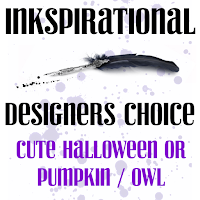 I found this digi on my computer when I was looking for something else, and thought it'd be perfect for the Alice-inspired challenge at My Time to Craft . I'm sorry, I don't know where it came from! 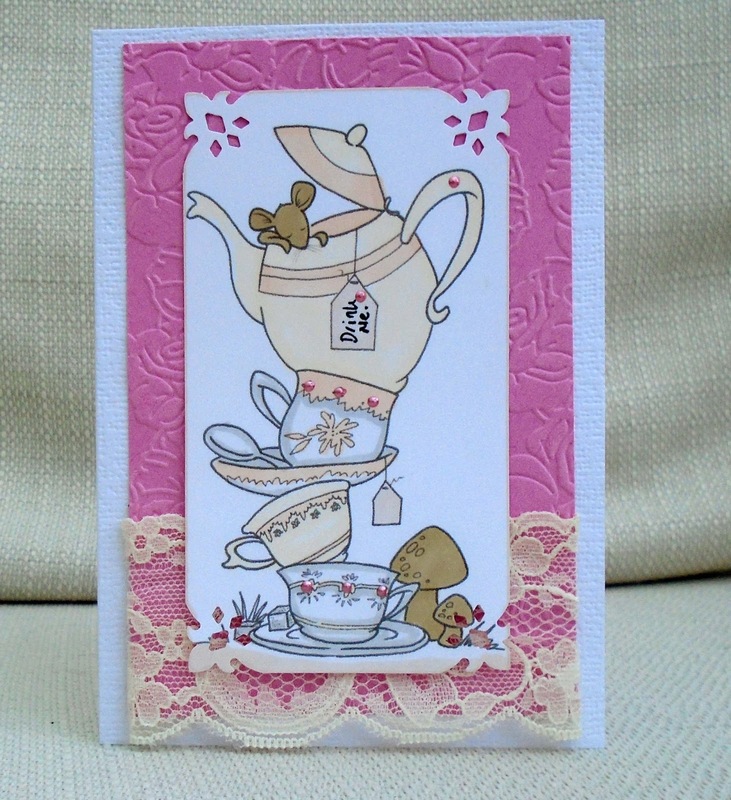 I coloured it with Promarkers, punched the corners and added dry embossing, lace, liquid pearls and the words 'drink me'. 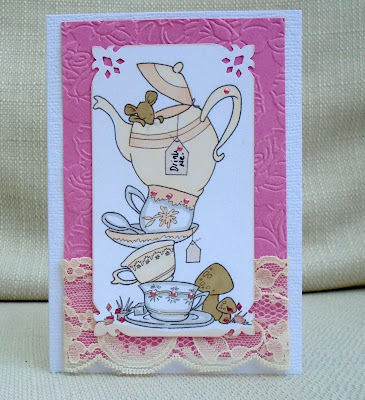 I am also entering Dream Valley Challenges , recipe - lace, pink, embossing ; and Inky Chicks , Pink. 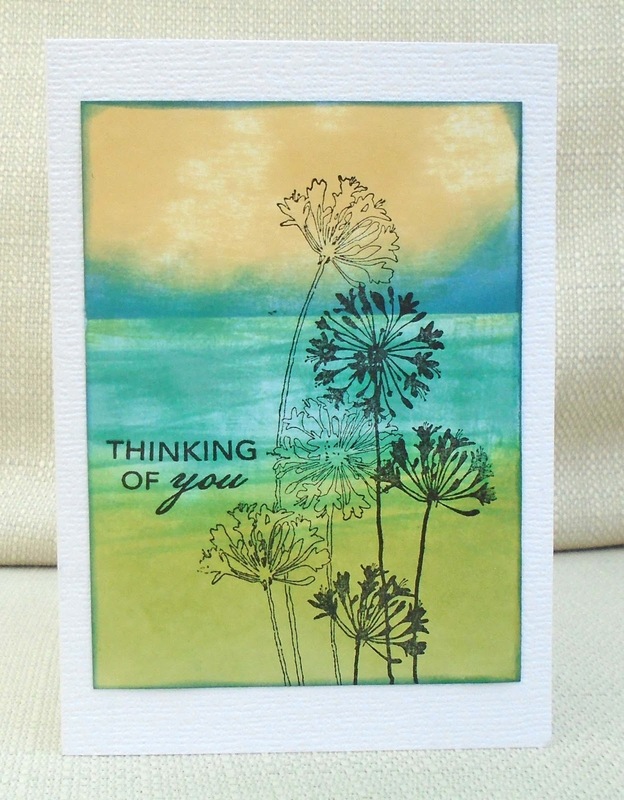 Here I used a Stampendous wildflower stamp and I think the sentiment is Hero Arts. I'm getting a lot of use out of this ADFD alien! If I wasn't on the DT, this would be perfect for the challenge at City Crafter this week. The balloon I used here is by W plus 9 , and it comes with the top half of animals to put into the balloon. 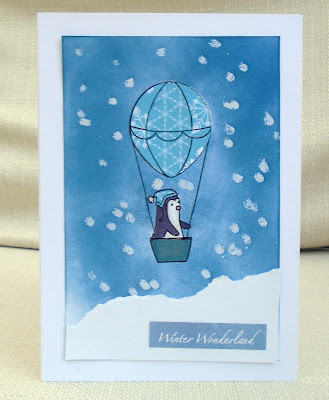 But I wanted to make a Christmas card, so I took a penguin from an Avery Elle set and masked off its bottom half to put it into the balloon. I created the snow using a Versamark pen and ink, and torn white paper for the landscape. I paper-pieced the balloon and hat and added a sticker sentiment.